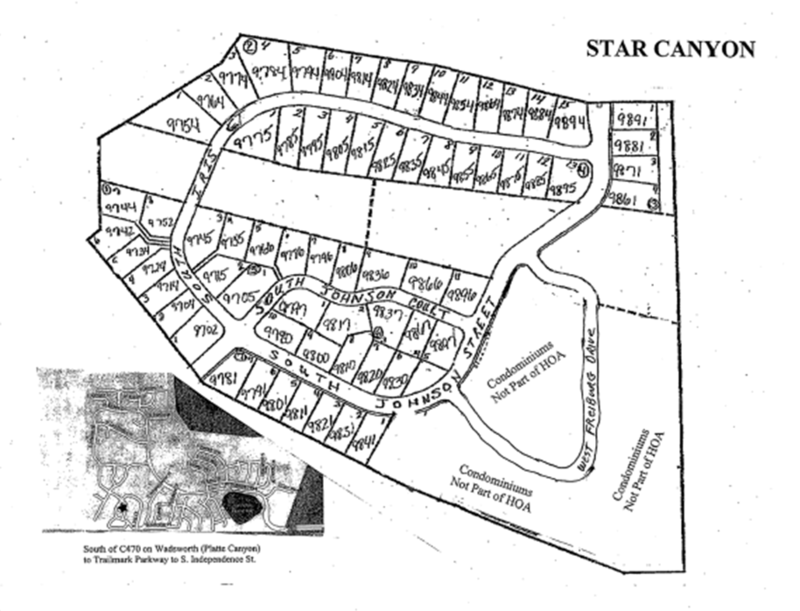 Star Canyon 200's Condominiums Assn., Inc. This community within the larger TrailMark Community numbers 68 homes. It is a mix of retired professionals, active single people and families with children. This lovely community is nestled next to the mountains and has open space all around it. There is a Beaver Pond to the north of the property that attracts wildlife and pastoral views. The residents usually join together once or twice a month for picnics, dinners in homes, lunch out in the community and/or walks along the many paths throughout the neighborhood. It is truly a wonderful community!